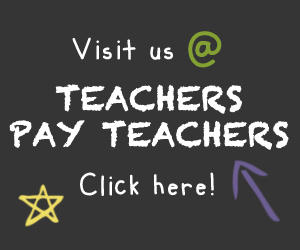 Looking for a little something extra to go along with your students’ Father’s Day gifts? 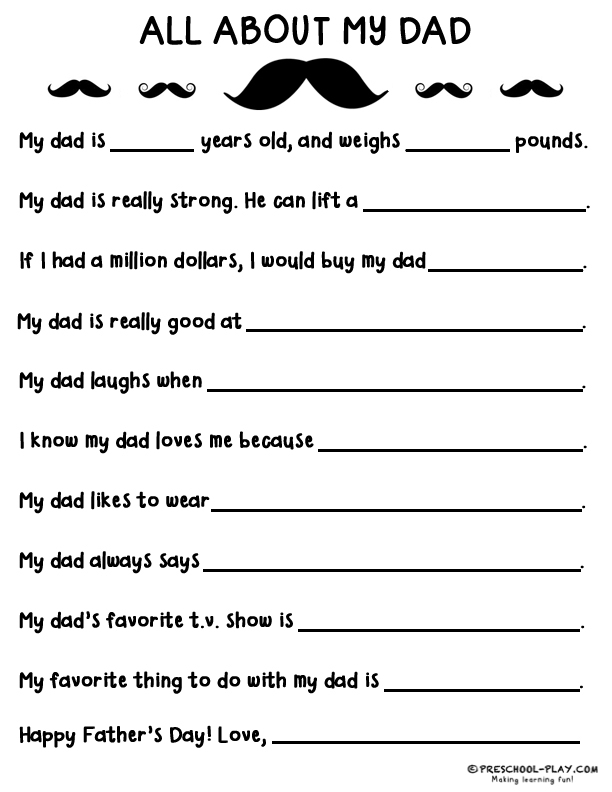 Download this fun and free printable Father’s Day questionnaire. Your children’s answers will be sure to put a smile on their dads’ faces. Older learners may be able to write or copy their own responses, while younger ones may dictate to you. Two versions are included in the download: one featuring a boy and one featuring a girl. DOWNLOAD THE FATHER’S DAY QUESTIONNAIRE. 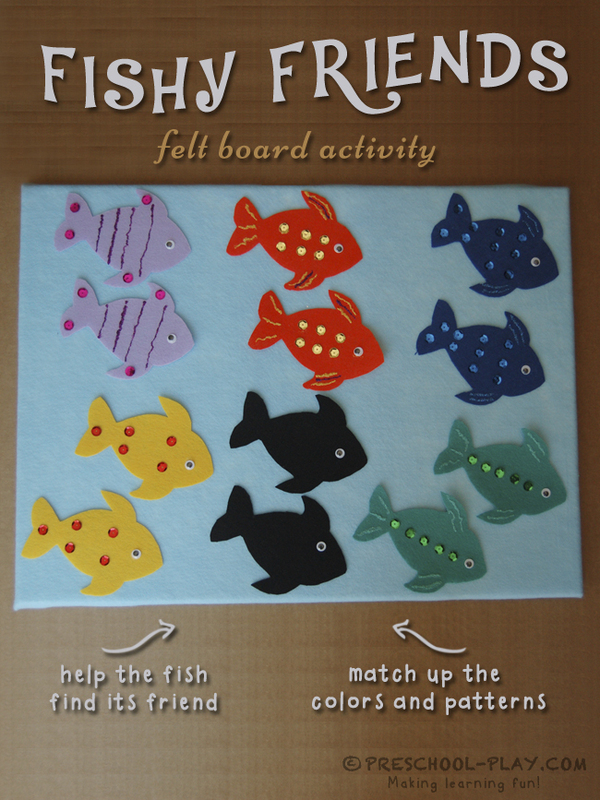 This fish match up game is a quick and easy way to teach colors and provide visual discrimination practice. 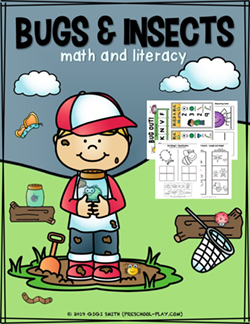 It can be used as an independent table top exercise, or as a small group activity. In addition, it makes a fun and interactive circle time activity. Pass the fish pairs out, then go around the circle and ask each child to find their fish’s friend. Next direct the children to place their fish pairs side by side on the flannel board. Another alternative is to have the teacher place a fish on the board, and then have the child with the matching fish come up and complete the pair. 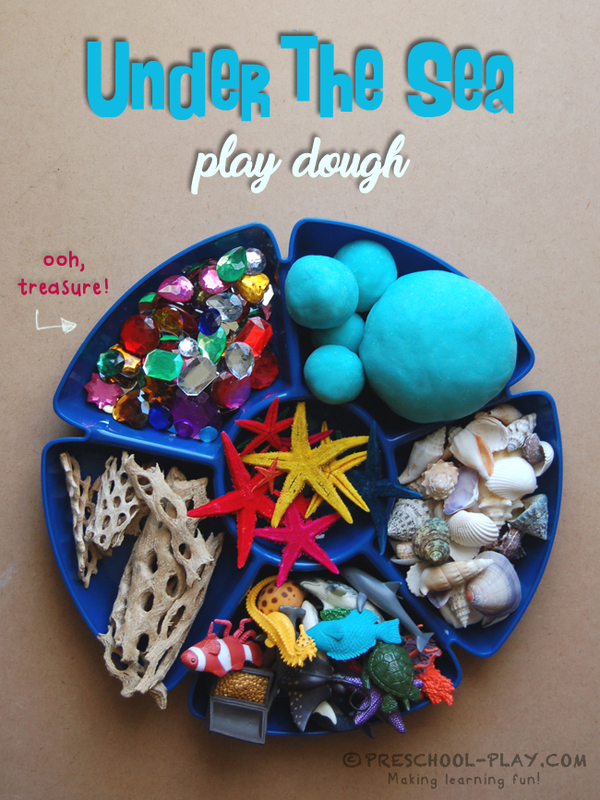 This play dough tray is the perfect addition to any ocean theme. Preschoolers will enjoy building their own seascapes with driftwood, shells, and other goodies. I am so excited to present this invitation to play. Add the color to the water and mix well. Mix all of the ingredients into a large pan. Cook slowly on medium heat, stirring until the dough thickens. Remove from heat, let cool, and knead.